The US military is planning to ask the Canadian government to upgrade missile sensors in the Arctic, in order to improve detection of different types of missiles, according to a senior US defense official. The upgrade requests for the Canada-US North Warning System and DEW Line – the distant early warning line – are being directed at the Canadian government and the US policy leaders, Admiral William Gortney, the head of the Canada-US NORAD program and of Northern Command, said at a news conference in Pentagon on Tuesday. “We’re just now bringing it up through our policy leaders as well as with the Canadian government,” Gortney said. So far there is no timetable on the proposal, but Gortney warned that the current technology will become obsolete within ten years. He outlined the best case scenario as replacing the existing system with a new version that would have the capability to track shorter-range cruise missiles. “The question is, what sort of technology do we want to use to reconstitute that capability? We don't want to put in the same sorts of sensors because they're not effective against the low-altitude, say, cruise missiles. They can't see over the horizon,” Gortney said. America’s calls for upgrades come as the US prepares for its turn to head the Arctic Council later this month. A decade ago, the Canadian liberal government declined the offer to join Washington’s ballistic missile defense program (BMD). However, it has been helping the US to keep track of the airspace through NORAD. Canadian Defence Minister Jason Kenney said that missile-defense cooperation is being assessed, but the government will wait for the review from the House of Common Defense committee before making any decisions. “But up to now, we haven't seen information that has changed our opinion on BMD,” Kenney said at a news conference last month. Increasing Canadian presence in the Arctic has been one of the key priorities of Prime Minister Stephen Harper, who recently pledged a multi-billion dollar investment into everything from naval ships to weather satellites. 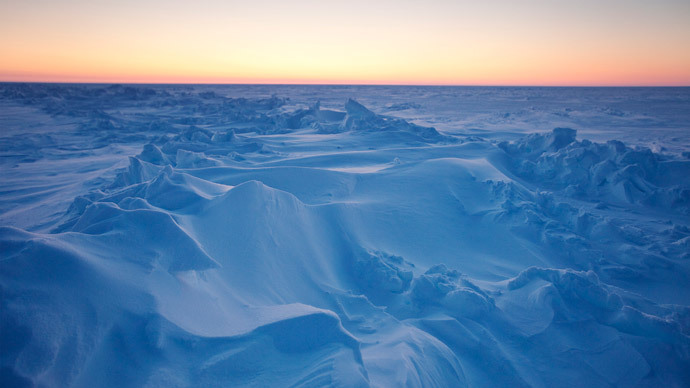 The government also announced that it is looking to improve its Arctic surveillance capabilities.